Judson Phillips of Tea Party Nation nailed it foursquare with this one. The only thing I’d add is Brit Hume’s reaction last night on Faucks News to the Newt Gingrich win. The Ol’ throat clearing, avuncular Brit was positively sputtering in fury. It was quite comical to see. Less than 24 hours have passed since Newt Gingrich convincingly won South Carolina. The RINO establishment has been going nuts since then. 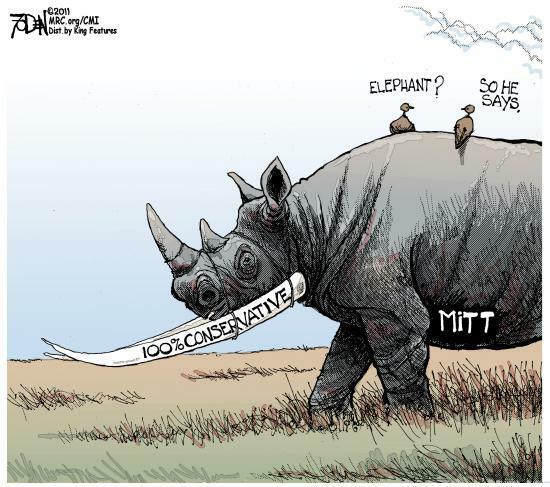 Every major RINO has been coming unglued this morning at the prospect that Newt Gingrich the scrappy conservative might beat liberal Mitt Romney and become the GOP nominee. The formerly conservative and now snotty Ann Coulter got snarky early this morning on Fox and Friends, sniffing that Republicans were throwing away the chance to win just so they could have Gingrich throw zingers out at Obama. Really? How about a little proof that liberal Mitt Romney can win? That of course is about as realistic as the chances of a real Democratic tax cut. RINO Washington Post columnist Jennifer Rubin absolutely lost it in her tweets last night. Today she penned an open letter to the RINO establishment begging them to get someone to stop the conservative. After all, the RINO establishment would rather see four more years of Obama than they would see conservatives take control of the party again. Fred Barnes quickly got on the Weekly Standard to give Mitt Romney the advice he would need to beat Newt Gingrich. Get a big idea. The only reason people like Newt is because of big ideas. Fred, here is a clue. The fact the ideas are big is a bonus. We like it because Newt actually has ideas. We like the fact Newt is a leader. Newt understands something none of these RINOs do not. He understands what real Americans understand. For conservatives, these words have meaning. These are principles we live by. These are truths that are self-evident and problems that we must correct. Freedom and liberty are words we live by. They are not punch lines for jokes or simply an arcane liturgy that must be recited for the great unwashed masses. RINOs simply laugh at conservatives, like liberals do. Like liberals, they think they are superior to the folks who live in real America. RINOs gave us John McCain and the big spending Republican congresses that all but killed the Republican Party. It was the real Americans who are members of the Tea Party that brought the Republican Party back from the edge of extinction. We have some news for you RINOs. This is our year, not yours. We saved the party you almost destroyed. You can sit down and get out of the way. This is the year of the Conservative, not the RINO.